This summer we are having more fun at Knott’s Berry Farm with the reopening of Camp Snoopy and the Calico Mine Co. Ride. 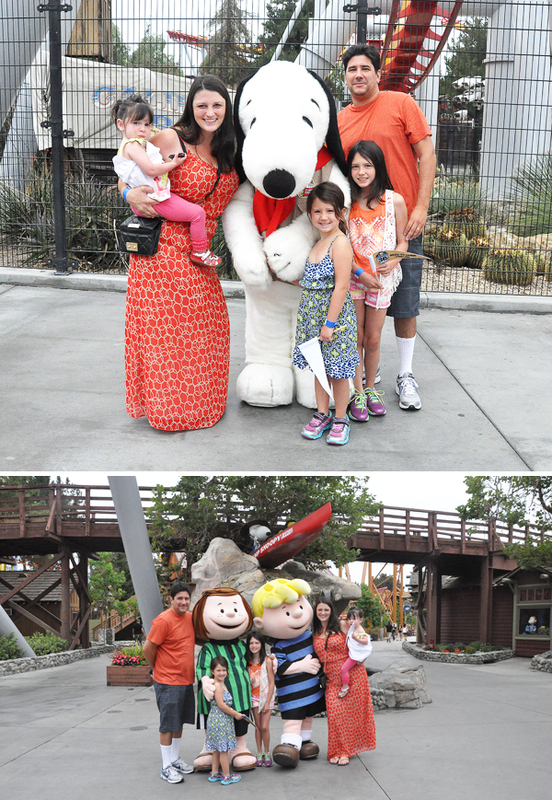 We were thrilled to join Knott’s for the opening of Camp Snoopy and our girls were so excited to ride the new rides. As a family who has seen the transformation we are so excited about all the fun new things going on at Knott’s Berry Farm this summer. Inside Camp Snoopy you will find that everything has been refreshed. Existing rides got new paint. You will notice a bigger emphasis on the Peanuts characters. Plus there is new and much larger meet-and-greet area for characters and three fun new rides. The new Linus Launcher replaced the old Speedway ride and there’s a spinning tree and Pig Pen’s Mud Buggies will send you bouncing around in circles. There’s also fun new characters on the train that will leave your kiddos squealing for more fun! I haven’t been to Knott’s Berry Farm much in my life and as a kid it was a very special treat for us to go. Riding the Calico Mine Ride was like a first for me and I was thrilled at the detail and so were our kiddos. Waiting in line my kiddos loved the flowing water, it was quite the treat since the weather was so warm. We really enjoyed all the mine details that really made you feel lie you were headed for an adventure! The ride was really a train and the view of the park from the loading area was quite wonderful! You can see the saloon and all of Calico. Inside the ride it’s been fully restored and they didn’t miss any details. It was fun and exciting for our whole family! We had to come back and ride it again at night to fully get a sense for how the mine would feel. It’s such a fun experience and our kiddos felt like they were really going back in time. We just took a big road trip and our kiddos have visited many of the places that Knott’s has replicated so it’s nice for them to see the past truly come alive! We’ve had a great time this summer at Knott’s Berry Farm making memroes as a family. There’s so many new and fun things happening all around the park so it’s a great time to visit! You can visit their website to learn more and buy your tickets today. What kind of fun are you having as a family this summer? I’ve always thought it sounded fun to go gold panning. What a fun trip to a mine! My girls loved that ride last time we went. I live Knotts! This looks like so much fun. I’ve heard of so many people going to Knott’s and having such a blast with all the different events they have throughout the year. Looks like a blast and so much to do and see! What a great way to spend a day as a family. I haven’t been t Knotts Berry Farm in years. I would love to take the family since they have never been and check out Camp Snoopy and the rides. I have never been to Knotts Berry! Looks like a ton of fun, I love visiting amusement parks! That looks like so much fun! I have never been to Knotts Berry Farm and need to remedy that! We just had a fun trip to the beach last week. Summer is almost gone. Sigh. We went to Knott’s many years ago with my nephew and had a great time. I love all things Snoopy and my kids would have a BLAST if we ever had a chance to visit again. I’d love to go there, we really need to plan a trip next summer. This time, we’re staying relatively close to home, taking in activities around the city. This looks like a blast! I have a 4 year old little boy that would love for us to take a family trip here. I totally love snoopy. Sounds like a great amusement park for the whole family.